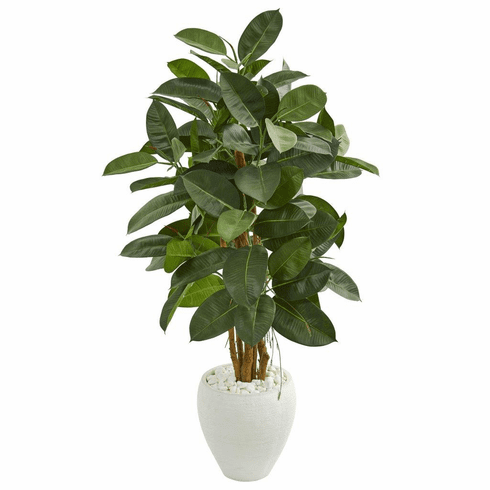 With its vivid greenery that splays out in different directions, this 53” rubber leaf artificial tree will be able to fill in any empty spaces in your established arrangement. It comes in a pure white planter that complements the piece and will instantly open up and brighten any dark or secluded room in need of some light. However, it would also look great in your white themed sun room with other artificial greenery. Height: 53 In., Width: 31 In., Depth: 31 In., Color: , Pot Size: H: 12 In. W: 12 In. D: 12 In.